One of the things I love the most about Fall is the smells. What smells better than apples cooking for a few hours to make you feel warm and cozy. This recipe is super simple and if you have the ability to go apple picking or purchase from your local farmers market, it certainly is worth a try to a good use of those apples. I unfortunately decided to do this on a whim when I was making out my grocery list so I purchased apples at the grocery store. I decided to use Gala and Fuji apples in this recipe and it turned out wonderful! I did not add any sugar to the recipe other than the honey it calls for. It was a tad bit tart, but I like my applesauce that way. If you wanted to sweeten it up, you could do so by adding a little brown sugar as you are getting to the end of the cooking process. I began by peeling all the apples and slicing them around the core. I don’t have any sort of apple peeler or core removal contraption so I just cut them how I normally cut them for the kids. You could leave the skins on for some added fiber, but you would need to blend or food process the applesauce at the end to get those mixed in better. 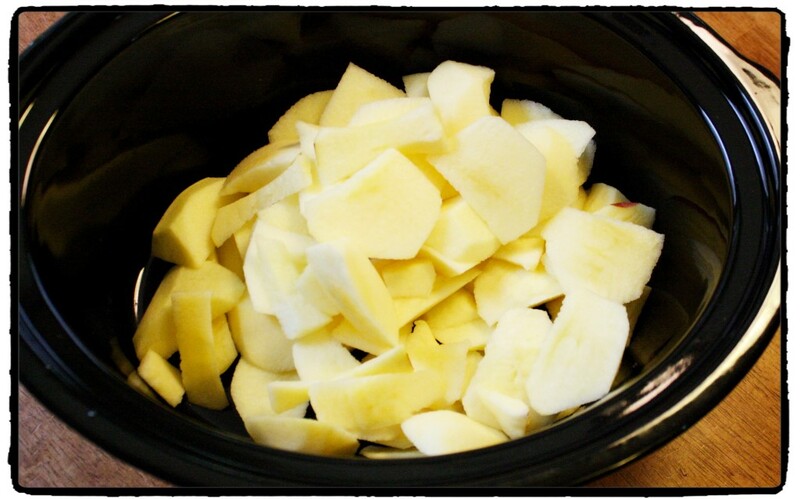 I put all my apples in the crock pot. I used 4 Galas and 4 Fuji’s. Next time, I will double or triple the recipe and have some to freeze for later on. I added the remaining ingredients and put the crock pot on High for 4 hours. I did stir a few times to ensure that the apples moved around and that helped them to mush up better I think. Once complete, I let it cool in the crock pot until it was near room temperature and then I have mine stored in the refrigerator. If you like your applesauce to be less chunky, you can blend the mixture in a blender after it cools down to make it smoother. Stir occasionally to help the apples break up and mush better. 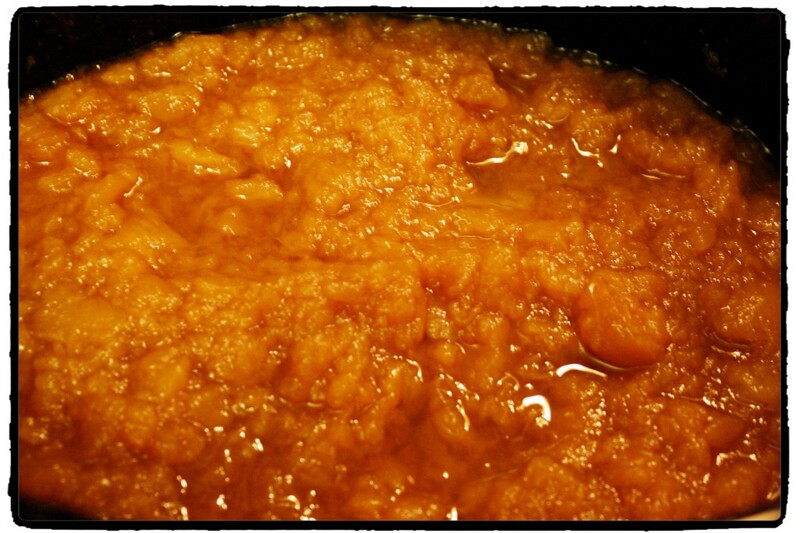 If you prefer a smoother apple sauce, let it cool to room temperature and process in a blender. Store in the refrigerator. If you want it to last longer than a few days, place in freezer bags in smaller portions and freeze. The original recipe can be found over at I’m A Lazy Mom. 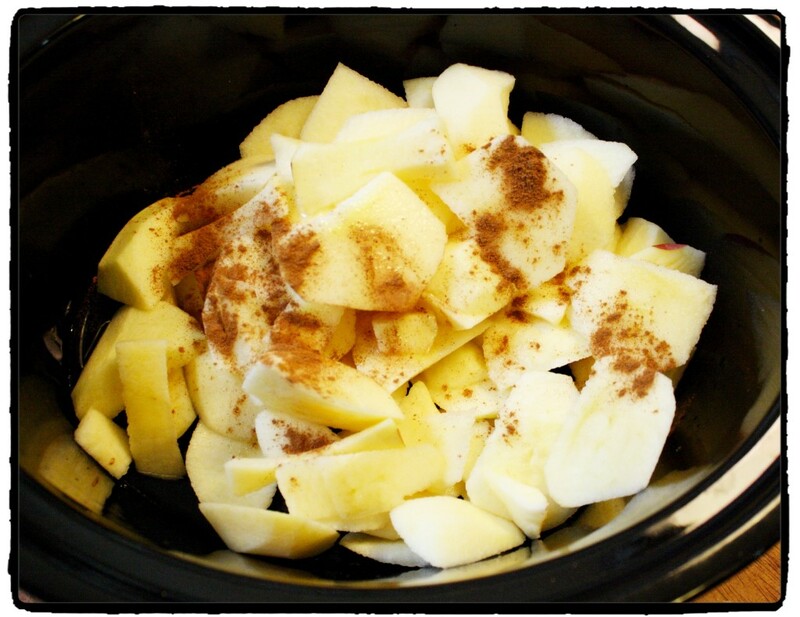 Oh I adore homemade applesauce, but to make it in a crock pot would be even better!! What a scrumptious picture you took, too! I have pinned this and will make it this weekend for sure!! I’m excited to try this! I have 3 little girls that love applesauce and an abundance of apples right now. What a simple recipe! I get so use to buying things at the store that I forget how easy some things are to make (and better). This sounds great! I love crock pot recipes!